A news and current affairs-style programme for the fire service was launched at last month’s Chief Fire Officers Association AGM. 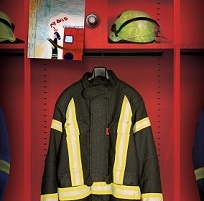 ‘Beyond Blue Lights' uncovers the challenging role of the Fire and Rescue services in the UK society and takes the audience through the latest innovations and technology from breathing apparatus and thermal imaging cameras to protective clothing and control room systems. A crew from ITN Productions visited DuPont to learn how DuPont™ Nomex® continues to lead the way in fire fighter protection by addressing the delicate balance between providing firefighters with the highest standard of protection whilst retaining high levels of comfort and remaining cost effective.